The Bachelor in International Culinary Arts Management will prepare you for a career as a high-level, creative and innovative manager working in the kitchen, patisserie and culinary events sectors. Our fully certified 3-year degree programme has been designed to equip you with the skills to achieve your ambitions. 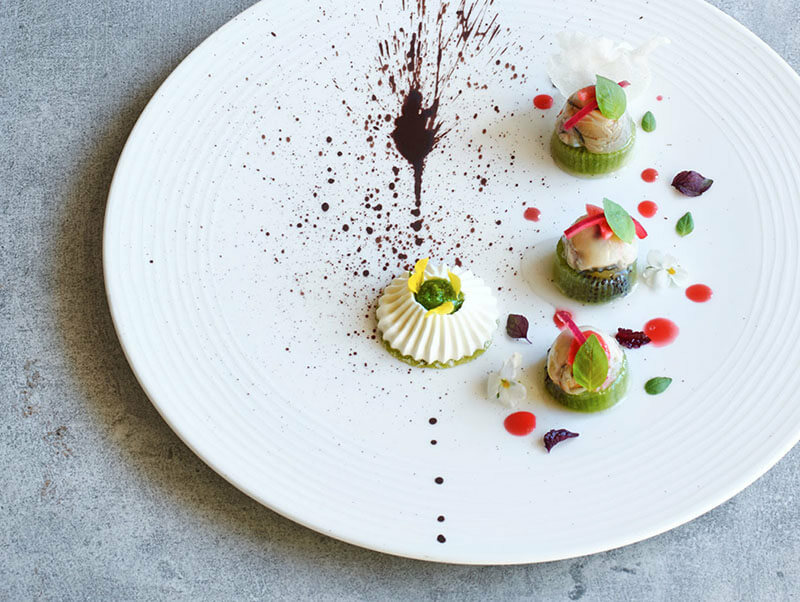 We will provide you with placement opportunities to see the industry up close for yourself, and with our international options you’ll become an ambassador of French gastronomy and “art de vivre”. You are passionate, creative, rigorous and enjoy expressing your own identity? Tomorrow you’ll be a responsible manager at the cutting edge of the latest trends in the restaurant industry. Our role is to help you acquire the technical, operational and managerial skills needed for your future success. Our learning approach is unwaveringly experiential and interactive, offering students both a strategic and operational perspective of the industry. 50% of your course will involve practical professional training in our kitchen laboratories and gastronomic, bistronomic, traditional and fast-food training restaurants. You’ll also develop your practical skills through creative projects and business games. As the course advances, you’ll progressively gain confidence as a manager, preparing you to become a ‘work ready’ graduate equipped with the team, leadership, communication, analytical and decision-making skills expected by employers. 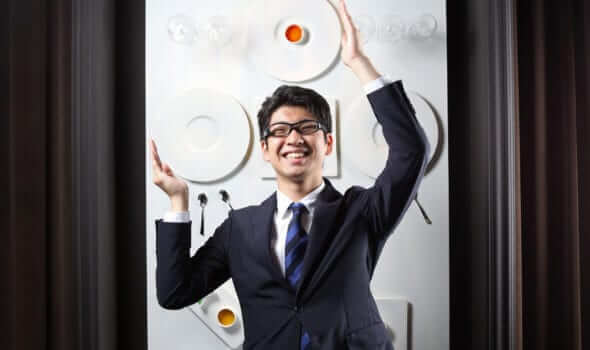 Depending on your future career project, we’ll ask you to choose a specialisation from one of six options in Gastronomic cuisine – International cuisine – Japanese cuisine and culture – Pastry – Nutrition, health and pleasure – Reception Event Planning (in partnership with Potel & Chabot). 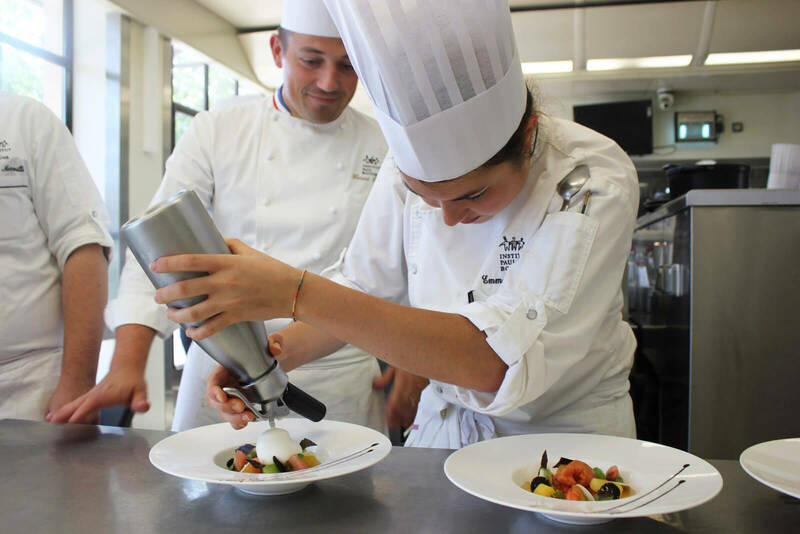 At Institut Paul Bocuse, you’ll be learning from the best. Our team of 30 professional chefs includes leading figures from the industry and a team of Meilleurs Ouvriers de France. You’ll be able to experiment your skills in a unique technical environment with 6 kitchen and 3 pâtisserie laboratories, a bakery and 6 training restaurants. We’ll offer you fantastic opportunities to explore the world and open your horizons on one of our international exchange programmes. Build yourself a solid and inspirational future: 100% of our graduates are in the job of their choice within 3 months of finishing the course. Upon completion of this course, you’ll be awarded a Bachelor in International Culinary Arts Management and the Professional Certificate in Kitchen and Restaurant Management, registered with the National Repertoire of Professional Certifications (RNCP) at level II (Bachelor).